The N.I. planning system has become increasingly more complex and is often a minefield for those who experience it for the first time. Even those who are familiar with planning often find that they need assistance and advice in certain areas due to the sheer size of the planning policy context and legislation which governs N.I. 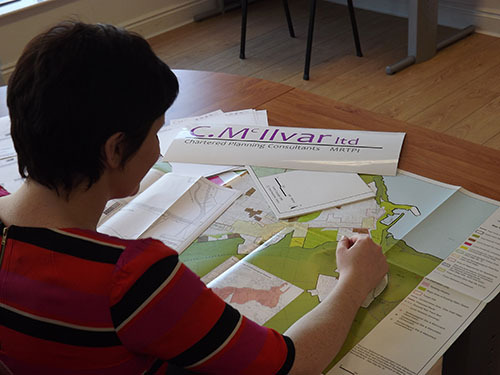 C. McILvar Ltd is able to provide qualified, professional advice on any size of project and often bring added value to the quality of your scheme. We have experience of dealing with all types and sizes of planning applications and can help guide your project through the planning process to achieve the best outcome for you. Even those who are familiar with planning often find that they need assistance and advice in certain areas due to the sheer size of the planning policy context and legislation which governs N.I. Outline planning applications establish whether the development proposal is acceptable in principle. It has the advantage that detailed drawings are not required and is not as costly. Once outline permission has been granted, details of the design proposal must be approved. This is known as ‘Reserved Matters’ and must submitted within 3 years of the grant of outline permission and approved before work can start. Most applications are full planning applications requiring you to submit all details of the proposal. It is appropriate if you have detailed information about your proposal or you wish to change the use of land or buildings.